Kenya Cup giants Impala Saracens have signed back row Elkeans Musonye and back George Orembo from rivals Strathmore Leos. The duo, however, arrives on loan basis until the end of the season -May 2019. Impala has also signed Saul Kivumbi from Uganda's Rhinos. This was confirmed by Impala Saracens director of rugby Fred Ollows with Strathmore Leos team manager Arnold Onyango saying they are in the process of finishing all the required processes to see them cross to Ngong road. Raga House understands Musonye aka Fonto and Orembo took part in the first training session of 2019- Saturday, Jan 5 at Impala Club. 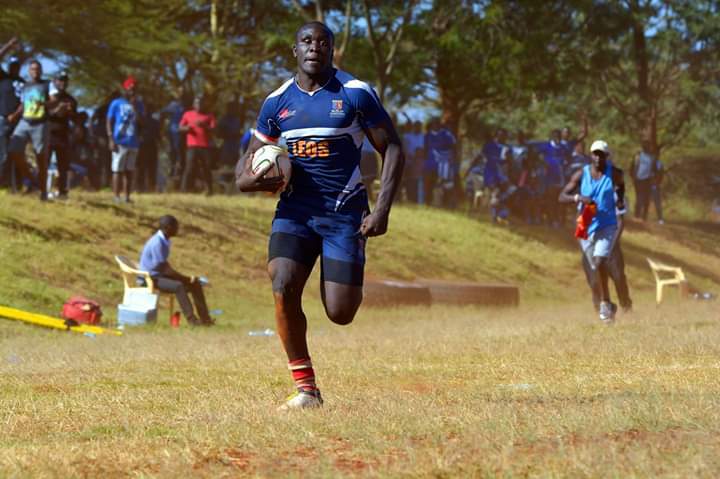 Musonye, who was signed by former Leos head coach Mitch Ochola from Western Bulls, is a Kenya Simbas international and recently took part in the 2019 Rugby World Cup repechage tournament held in France. They helped Leos reach Kenya Cup playoffs last season but the Madaraka based side has had a terrible start to the 2018/19 season losing all opening five matches to remain bottom with three points. Musonye and Orembo, who is making a return to Impala, may make their debut for Impala against Nondies when the league resumes on Sat Jan 12. Leos continue with their struggle against Mwamba at home. The mid-season transfer window closed on Friday, January 4 at 11.59pm.